Winters Moon: New shiny curtains! 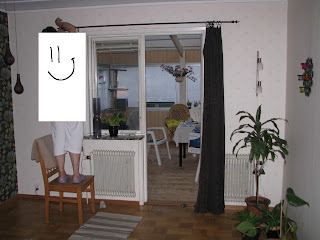 Found these super cheap curtains at Jotex.se! Before you -"What the hell? "- anything, :P we are planning on making a new cover for the sofa, in a dark grey color. <3 So now, the only problem is that wall!(!!!) You cant match anything to it! Its' colors are... eew. On to the shiny curtains! 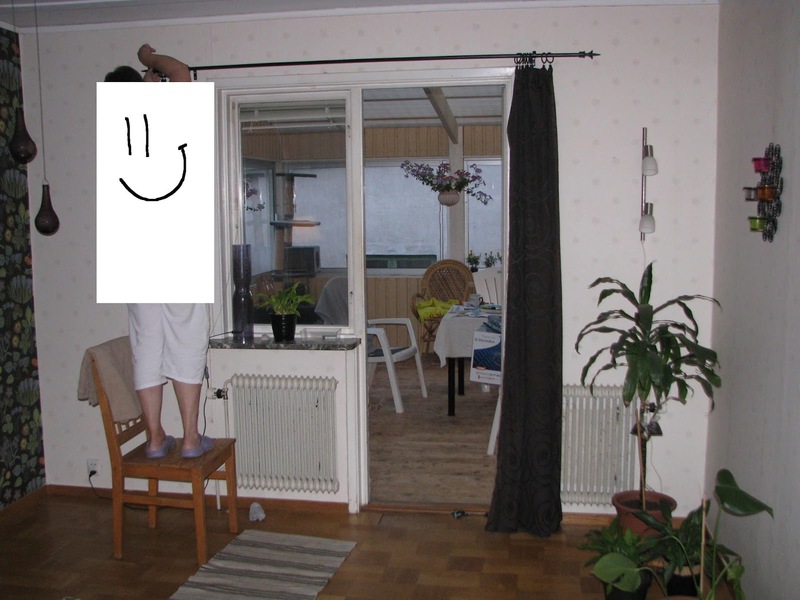 Going to change the curtain-rods too, but not right now... we just got 'em up and it looks so much better than before, so we're happy for now! We got a new vacuum cleaner also. HURRAY! Haha. The old one sounded horrible and literally fell into 3 pieces. So it was time for a new Rolfy. And with 4 hairy companions lurking around... phew, you can just imagine. Oh Lord, 44C. I'd die. Nice new curtains, though! Åååh yesh 44 grader är som gjort att smälta bort. Va?? Inte här...extremt äckligt klibbigt och vrål äckligt varmt. Vad fint det blev! Så lyxiga gardinerna ser ut :D Jotex har en hel del snyggt tycker jag.